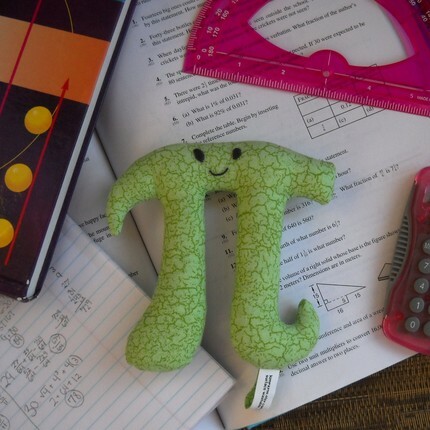 As geeky as we are in the Boogers&Burps house, you shouldn’t be surprised that I’m writing a post about National Pi Day. To be honest, we haven’t really celebrated it yet because there was church this morning and frankly it’s the first warmish day in a loooong time, so I didn’t want to drag the boys inside when they’re finally able to play outside. But I have a few simple ideas for things we can do this evening with the boys. If nothing else, we’ll talk about Pi and why it’s important (not to mention cool). And maybe if I get to the store before supper, we’ll have some pie as well. So what’s so special about Pi? Since I’m entirely unqualified to answer this question, I thought I’d ask someone who is qualified: Brian Reece (AKA Husband). Brian has his Master’s in School Mathematics and teaches AP classes at a magnet high school as well as online college courses at a community college. (In other words, he’s a certified math geek.) Here’s what he had to say when I posed the question to him (while he was careful to also keep one eye on the NCAA Tournament Selection Show, of course). Pi is the ratio of a circle circumference to its diameter. It’s mentioned as far back as the Bible, when people tried to figure out what the ratio (Pi) was. It’s an irrational number, which means it can’t be written as a ratio of two integers (a fraction). In other words, it continues to infinity without repeating. Another easy activity is to have your kids make a paper chain, writing one digit on each link. Have them see how many links they can attach to it! 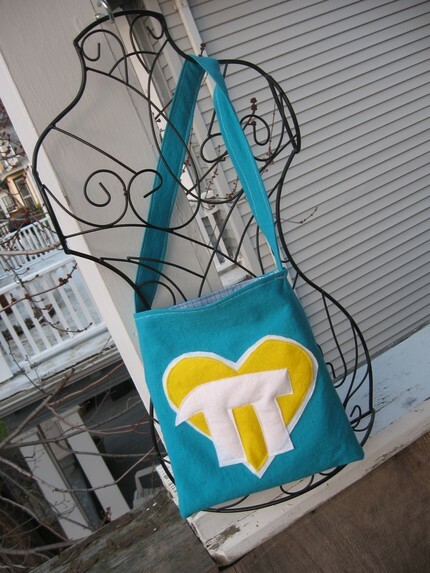 Pi in the Sky Bag by Buffalo Nerd Project on Etsy: Carry Pi with you wherever you go! 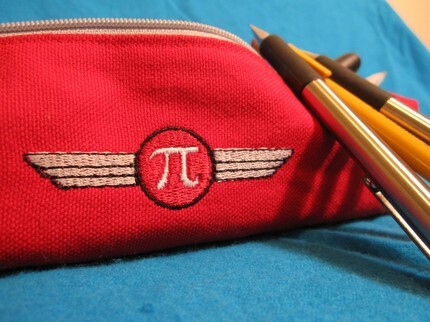 Pi Coffee Cozy and Pi Pencil Pouch by NausicaaDistribution on Etsy—Husband and I are HUGE fans of this shop! We’ve made several purchases of the adorable statistical plushies for his classroom, and we’ll continue to go back for more! I’ll be featuring this great shop soon! Pi Guy by KimPayne on Etsy—Meet Pi Guy. He can keep your kids company while they do their homework or just snuggle at bedtime. He’s so cute! 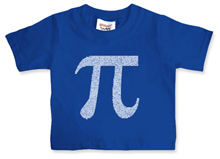 Pi by Numbers T-shirt for Kids at ThinkGeek—Husband has this T-shirt (in big people size), and I think it’s adorable for kids. Start your kiddo on the road to “mathlete” early! ThinkGeek has some other really fun products, including a Pi shower curtain and Pi ice cube tray. I love this store and find some awesome gifts there. So what about you? Do you celebrate National Pi Day? Love that “I love apple pi” decal on the home page? You can find it at the Lil Decal Shoppe on Etsy! I’m pretty sure I need it! I know; kind of hypocritical, aren’t I? 😉 I will definitely take you up on the Irish Feast every year. My tummy is STILL smiling! Previous Previous post: Mad About March? Notsomuch.